Your little furry friend definitely deserves better and it's not only a matter of good nutrition. 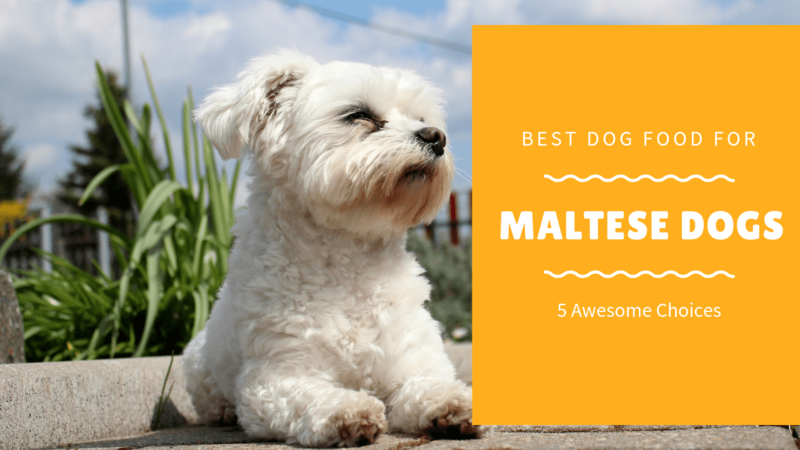 We all know that Maltese have rather high standards! 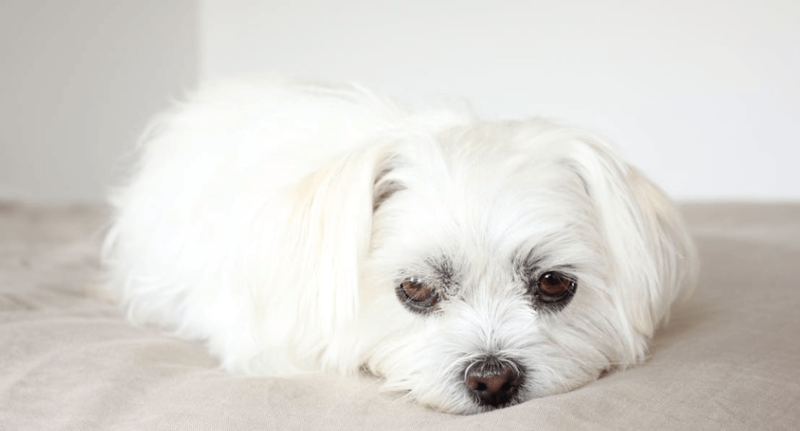 Plus, if you’re a Maltese owner, there are also a few health problems you should be watching out for. 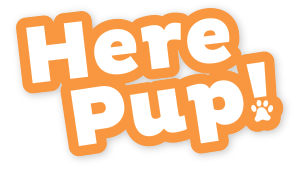 This guide should help you find a good food for your little pampered puppy—one that combines wholesome ingredients with the sophisticated taste she probably expects. So check it out! I’ve actually never heard of this brand before reviewing it, and I’m pretty impressed. The protein content is about 28%, and that all comes from real meat. There’s no rendered meat or meat meal in this dog food, which is refreshing. In fact, the first two ingredients are whole chicken and whole eggs, which is great. This recipe also contains chicken liver and salmon. So lots of protein sources. The carbs come from oats and barley. Those are grains (albeit slow-burning grains), so it may not be the best choice for a Maltese with tummy problems. The fat comes mainly from two good sources: whole salmon and flaxseed. However, there’s not quite as much fat as we like to see, so you may have to lightly supplement on your own. Overall, though, this is a stellar dog food we’ll be buying more of. 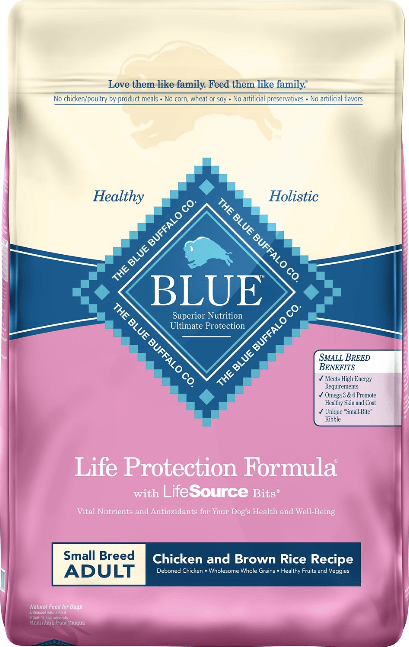 Blue Buffalo is one of our go-to dog foods, especially for smaller breeds like a Maltese. The protein content is usually right in the sweet spot at around 25%, and the ingredients are really high-quality. 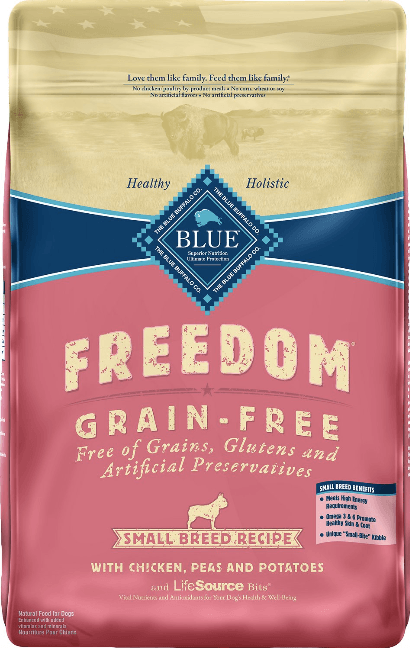 This particular formula tops our list because it’s got lots of great ingredients, good sources of protein, and it’s grain-free, which we often prefer with breeds that tend to put on weight easily, like this one. The main ingredient is deboned turkey, although it also includes turkey meal (not a byproduct), which is where the protein comes from. The carbs come mostly from potatoes, although some come from slightly starchier vegetables, like peas. 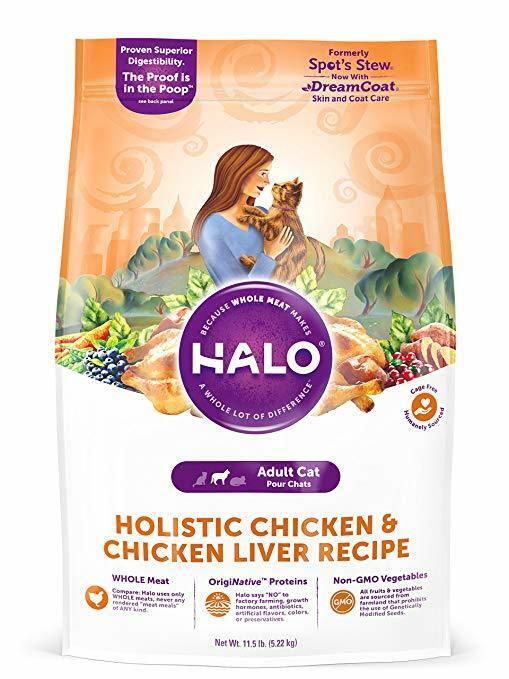 One of the few things we don’t like about this dog food is that most of the fat comes from canola oil instead of something like flax or fish, which we generally prefer. Still, this a great dog food with good ingredients, and just the right amount of protein. We’ve recommended this brand for other toy breeds before—and for (we think) good reason. 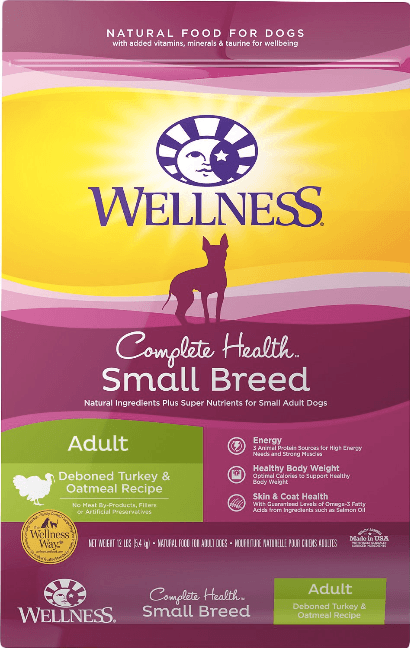 Wellness just makes good stuff with solid nutritional profiles, and they generally do a great job formulating their food for specific types of dogs. This dog food is no different. 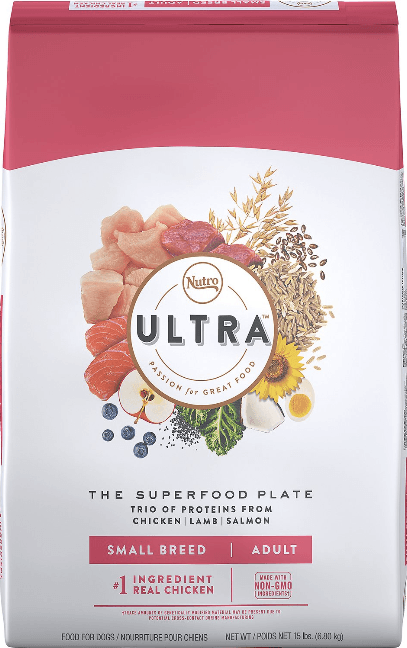 One of the major “pros” for this dog food is that the protein comes from three different animal sources, which we like, since we prefer our dogs to have a healthy diet with lots of variety. Like their other products, this formula contains no wheat, meat byproducts or artificial flavors/preservatives. Lastly—and something that should never be overlooked—is the very large variety of fruits and veggies. You’ll find tomatoes, carrots, apples, blueberries, sweet potatoes, and a bunch of other great produce. Did you see we mentioned carrots? That’s one of the things we were looking for, remember?! And that’s good. It’ll help your pup keep her little peepers healthy. Here’s another good small breed recipe by Blue Buffalo. A lot of the stuff here is about the same, except this formula includes rice, so it’s not grain-free like the other one we review in this article. Still, there’s a lot to like, as there is with most Blue Buffalo dog foods: reasonable protein from good sources, plenty of produce, slow-burning carbs and some good fats. We kind of wish there were more fats from better sources (e.g. fat from whole fish or flaxseed instead of fish meal), but that’s hardly a reason not to try it. Overall, this is a good option that passed our pup's taste test with flying colors. We’ll round out your list with Nutro Ultra’s adult dog formula for small breeds. This probably would have been a bit higher on our list if it weren’t so heavy on the grains, if the grains had come for better sources, or if the grains were better supplemented by other healthy stuff. It’s still a good dog food; it’s just not as well rounded. There is a good selection of produce, but it comes from aged, dried ingredients instead of whole ingredients like some other foods tend to include. We do like that this recipe includes carrots (well, dried carrot), which is good for your Maltese’s eyesight. 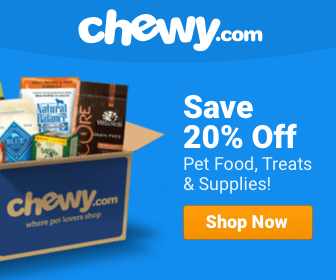 If you're looking for more good information on small breeds, we've got a pretty good guide on dog food for Frenchies here. Or, if you're a Shih Tzu person, check this one out. We also have a great guide for dogs with sensitive stomachs. Maltese are tiny little dogs, so they usually don’t need much food. And that’s good, because you’ll save enough money to afford much higher-quality stuff! The above estimates are based on a 5-pound dog. That’s about average for both males and females of this breed. Just keep in mind that male Maltese can get up to eight pounds or weigh as little as three pounds. Females, on the other hand, can weigh anywhere from two to seven pounds. So, as always, be sure to ask your vet how much food your pup needs. For a typical adult Maltese, though, you can expect to feed her about 200 calories per day. Senior dogs need fewer calories, since they’re usually not as active, so an older dog of the same weight needs about 165 calories. However, if you’ve got an active or working Maltese, she’ll need quite a bit more calories—a rough estimate for a 5-pound dog is about 300 calories. Protein is pretty important for a Maltese. These little ladies (or guys) don’t need much exercise. It’s also very easy to pamper them, and when people pamper dogs (not that there’s anything wrong with that! ), it usually means feeding them lots of treats. Add all of that up, and you get a breed prone to weight gain. Choosing a good food that has a bit more protein can help keep your pup lean and healthy. For most toy breeds, you can test to see if they’re overweight by feeling their ribs. If you can’t find their ribs without probing, they’re probably a bit chubby. We generally recommend dog food with a protein content of at least 25%, especially for small dogs prone to weight gain, but plenty of Maltese owners go higher than that, especially if they’re making their own food. Like any dog prone to putting on a little baby fat, you want to stay away from complex and starchy carbs. Believe it or not, some commercial dog foods have stuff like sugar and maple syrup in them (why?). Less conspicuous but still bad, is stuff like corn, which is even the main ingredient in some big-brand dog foods. Gross. Instead, go for complex, slow-burning carbs. The best sources are going to come from sweet potatoes. 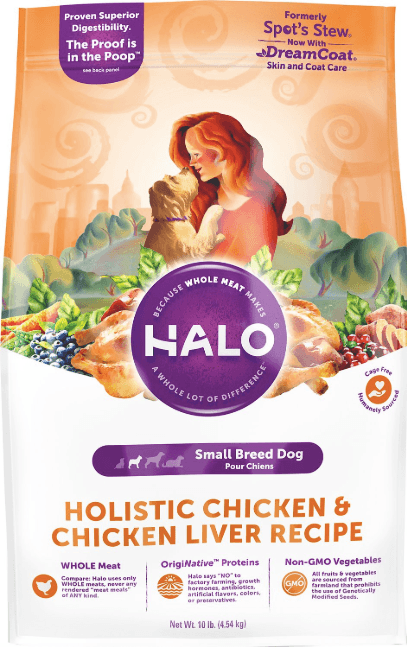 Unless your Maltese has digestive problems (and so do; more on this below), you can also go for stuff like brown rice, oats and barley. I’m sure you’ve seen the stereotypical pictures of Maltese dogs with super-long, pretty hair. That takes some work! It also takes a good diet that has plenty of good fat. Good fats are what keeps hair healthy and shiny, so you want to make sure your Maltese’s dog food has plenty of sources of fats—and you want to make sure there are lots of omega fatty acids in particular. Look for stuff like fish and flax. Maltese dogs tend to live for a long time. So, like lots of dogs with long life spans, they tend to be prone to eye problems—especially later in life. There’s no real way to treat these problem, and you really can’t prevent them forever. However, there are a few foods you can incorporate into your dog’s diet to make sure her eyes are healthier for longer. Mostly, you want to make sure she’s got enough beta carotene, which can be found in orange-colored vegetables (carrots are a particularly good source, but it can also be found in veggies like sweet potatoes). This is a pretty painful condition in which the patella “floats,” or slips out of position. Unfortunately, you can't prevent this either (not 100% anyway). However, you can certainly feed your dog food formulated for joint health. Usually, food formulated for joint health has one or more good sources of glucosamine in it. There are a few good (and weird) sources of glucosamine, like elk antlers, but lots of foods just add it as a supplement.